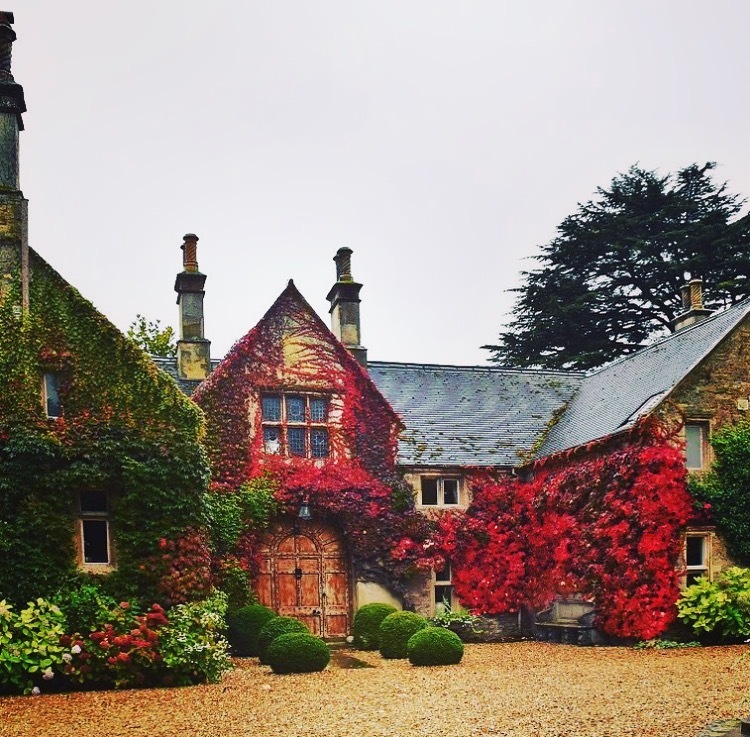 Join Emma Henry for our annual yoga and digital detox weekend in November. 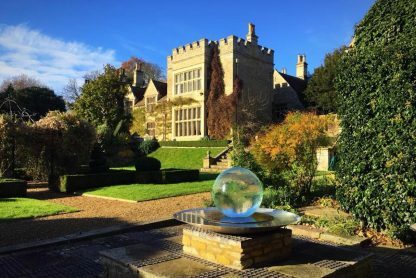 On this yoga weekend we invite you to switch off your devices and enjoy 3 days of exceptional yoga in a luxury private manor house. This is our last retreat of the year and we keep it small to create a cosy and intimate vibe. Enjoy challenging Jivamukti yoga, deeply nourishing food and relaxing device-free down time – the perfect way to welcome winter. 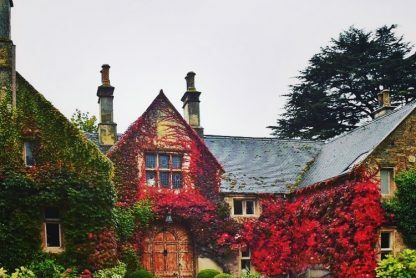 On this UK yoga weekend you will stay in a 17th century manor house set in fifty acres of private land, hidden away in a traditional country village an hour north of London. 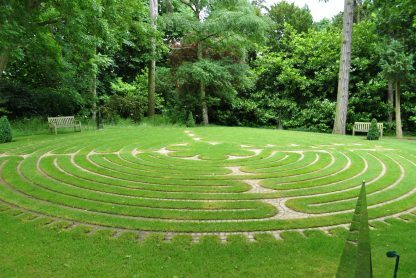 Our digital detox weekend has all the ingredients for a powerful device free weekend. Sleep deeply in sumptuous beds, soak in big baths, read in the private library and relax by the fire in the beautiful sitting room. 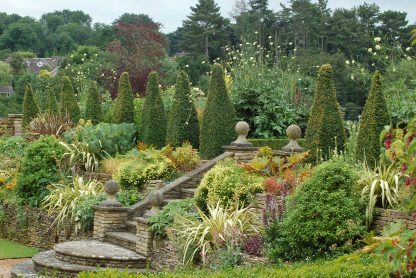 Wander around the landscaped gardens and enjoy peaceful woodlands. 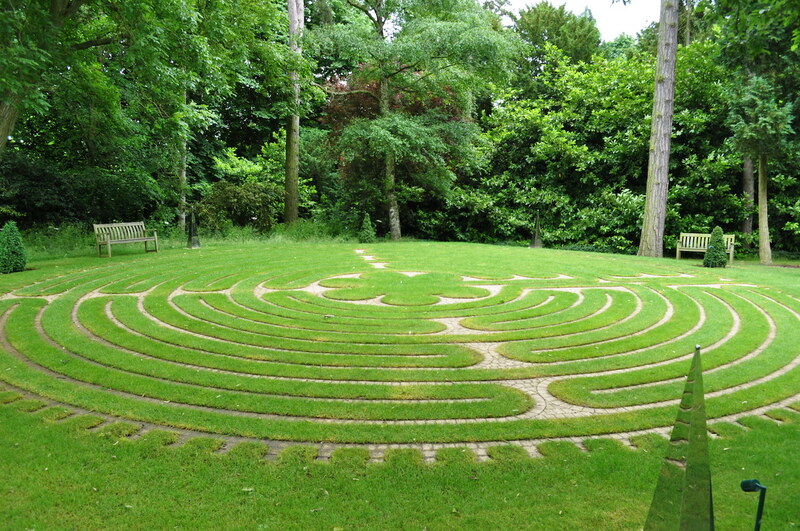 This location also has its own labyrinth, a unique space perfect for peaceful reflection and quiet time. You’ll have four powerful Jivamukti yoga classes with Emma Henry during this yoga weekend, our own chef will create a delicious plant based menu and Amanda Tizard will offer her blissful massages. Read more about our digital detoxes here and read a review of our digital detox on Queen of Retreats here. Senior Jivamukti teacher Emma Henry will teach 4 classes over the weekend. You’ll have a 2 hour class on Friday evening, and 2 x 2.5 hour classes on Saturday. On Sunday morning Emma will lead a 3 hour workshop. 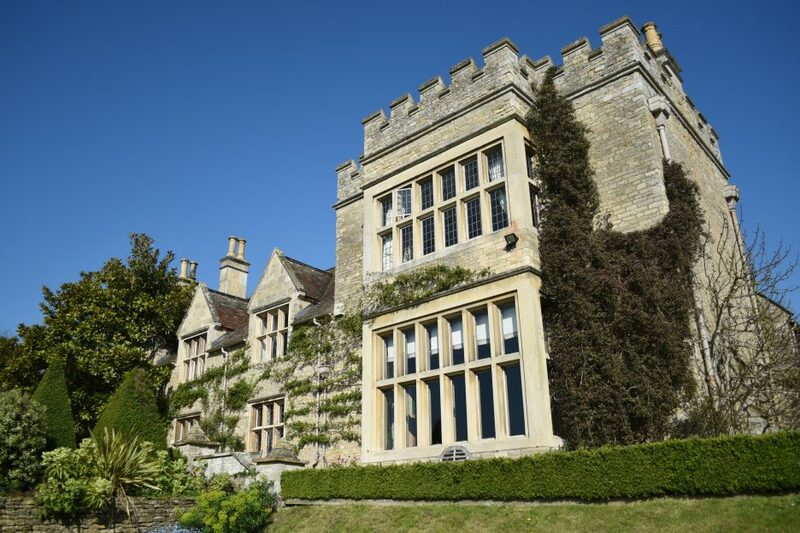 There are five luxuriously plush bedrooms in our 17th century manor house. These grand rooms have their own fireplaces and wonderful views out onto the private gardens. These rooms share bathrooms between 2 or 3 people. Adjacent to the manor house are the stable yard cottages where you’ll find two private self contained suites with ensuite bathrooms, a cosy cottage with a private ensuite room and two further bedrooms that share a bathroom. 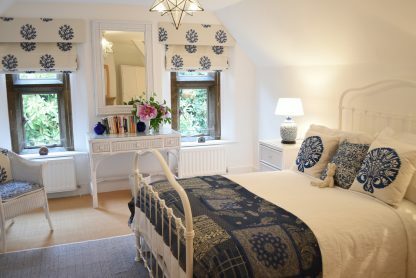 We have one further cottage which has a twin ensuite bedroom on the ground floor and a sweet mezzanine floor with a single bed and private bathroom. Your meals will be created by our expert retreat chef. You’ll be served a warming wintery plant-based menu with plenty of herbal infusions, green tea and water. Please arrive by 5pm on Friday 22 November and we’ll finish at 2pm on Sunday 24 November. We are located about 60 miles from London. The nearest railway station is Bedford, which is less than an hour by train from London St Pancras. We are around 20 minutes from Luton airport and you can travel easily using the Eurostar and connecting at St Pancras. From Bedford station you will need to get a taxi which will be around £15 (shared taxis can be organised) and takes 30-40 minutes. A wonderful time in a magical place. Great food, amazing yoga, and an attentive team made it easy to unplug. The time flew by – thank you! five star accomodation, five star teachers and organization, top quality vegan food…overall a wonderful experience…would definitely come back again! great atmosphere- I felt very welcome and the whole team looked great after me: thank yous to Jools, Susie and Saba. great yoga- Emma is simply the best!! Digital detox- actually, I think, it is quite a personal experience and it all depends on how much you want to make lasting changes in our own everyday life. Lisa- the coach who supervised the workshop- was very professionnal and on-point. What a wonderful weekend! 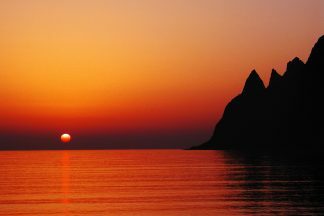 A truly beautiful location, delicious food and lots of nourishing yoga practice. I can’t believe we were only a half an hour train journey from London, I felt like we were a million miles away. I only wish it had been longer…… such a magical setting. A much needed weekend away and so great not to have immediate contact with the outside world! Emma and Jools and the rest of the team have clearly put a lot of thought into the running of the weekend, a lovely balance of fabulous yoga practice, time out by log fires, delicious nutritious food and teas and treatments. A wonderful weekend hosted by a great team. Emma’s yoga classes are the absolute best. The location is relaxing and luxurious and there is time to explore the beautiful surroundings in between physical practice, chanting, meditation, wholesome food and lots of tea! The whole team are available to welcome you and ensure you make the most of your time there, helping whenever needed. Thank you to Jools and the rest of the team! I have now been lucky enough to participate in two of these wonderful retreats, and I hope to do more! Emma and Jules are an amazing team… from the moment you arrive at the magical manor house you immediately relax, and after two days of peace, amazing yoga and delicious food you leave truly regenerated. An amazing break ahead of the December craziness! When Yogi Emma walks into the room I pick up energy straight away. She makes me feel welcome, she makes me feel at ease and I appreciate her commands. She is watching and paying attention and is there to help you pratice.She is very clear and she makes every word count.